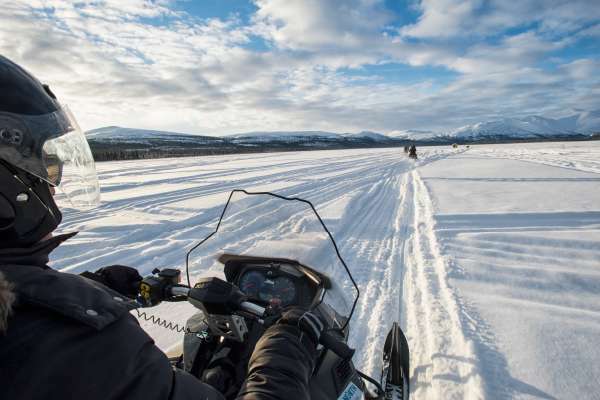 Imagine what it would be like if you fired up your snowmobile and just went anywhere you wanted, as far as you wanted, for as long as you wanted and never ran out of snowy trails, mountain slopes and valley bottoms. Until you reached your warm wilderness lodge at day’s end for a drink and story swap with friends. Our operators have imagined just such a day for you and can put you in the driver’s seat. 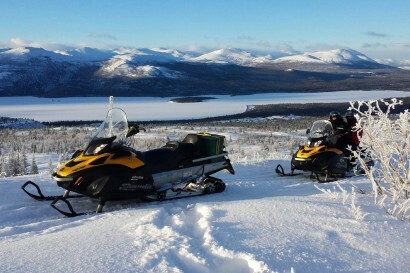 Choose from guided snowmobiling trips on beautiful groomed or rarely explored trails, or rentals for the independent types. 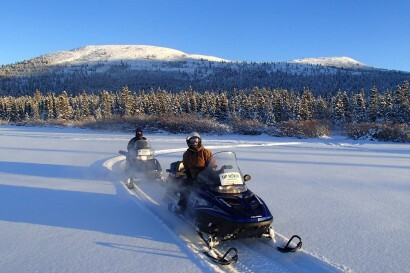 Either way, Yukon guides won’t leave you without a helmet, warm clothes, a safety briefing, and food and warm drinks for along the way. Package it up with some snowshoeing, ice fishing or northern lights viewing for a larger-than-life experience worth bragging about when you get home.